This cottage is situated in the village of Winchcombe, near Cheltenham, and can sleep six people in three bedrooms. 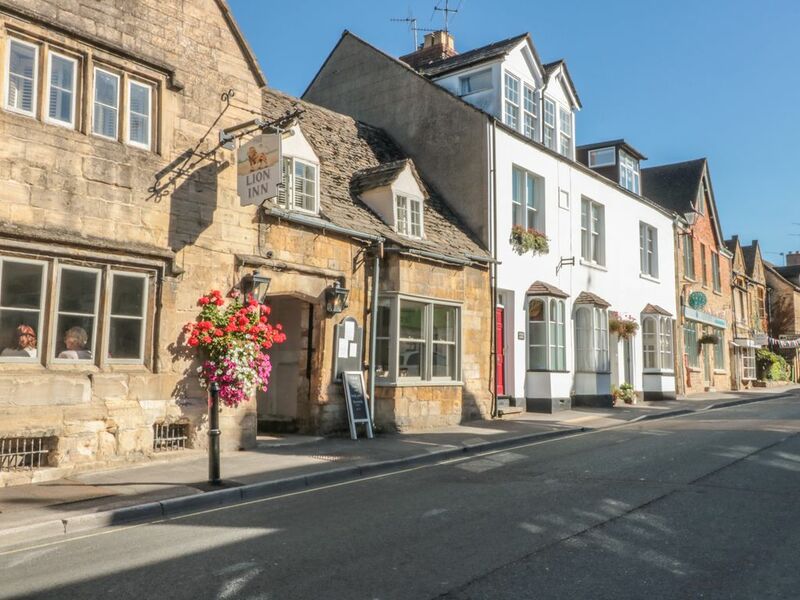 Postmasters Lodging is a charming cottage located in the village of Winchcombe, Cotswolds. Hosting three bedrooms; a second floor super king-size (zip/link) with en-suite, a second floor super king-size (zip/link), and a first floor double (zip/link), along with a first floor bathroom, this property can sleep up to six people. Inside you will also find a first floor open-plan sitting, kitchen and dining area. To the outside, parking in long stay behind library is four minutes away £1 per day, and there is a courtyard to the rear. Situated in a wonderful location with plenty to explore close by, Postmasters Lodging is a stylish retreat in a heart-warming part of England. Amenities: Central heating. Electric oven and induction hob, microwave, fridge/freezer, washer/dryer. TV with Freeview, WiFi, selection of books and games. Fuel and power inc. in rent. Bed linen and towels inc. in rent. Parking in long stay behind library, 4 minutes away £1 per day. Courtyard to the rear. Sorry, no pets and no smoking. Shop and pub 2 mins walk. Note: Low ceilings on both second floor super king-size bedrooms and ensuite, care to be taken. Town: The Fairtrade town of Winchcombe is situated midway between Cheltenham and Broadway, offering restaurants, wine bars, tea shops, deli's, shops, music and arts festivals, country shows and farmers’ markets. Guided walks around the town are on offer throughout the summer months, and within reach are the village of Broadway, spa town of Cheltenham and the town of Gloucester. Over three floors. Three bedrooms: Second floor super king-size (zip/link, can be twin upon request) with en-suite shower, basin and WC, Second floor super king-size (zip/link, can be twin upon request), First floor super king-size double (zip/link, can be twin upon request). First floor bathroom with bath, shower over, basin and WC. First floor open-plan sitting, kitchen and dining area. Central heating. Electric oven and induction hob, microwave, fridge/freezer, washer/dryer. TV with Freeview, WiFi, selection of books and games. Fuel and power inc. in rent. Bed linen and towels inc. in rent. Parking in long stay behind library, 4 minutes away £1 per day. Courtyard to the rear. Sorry, no pets and no smoking. Shop and pub 2 mins walk. Note: Low ceilings on both second floor super king-size bedrooms and ensuite, care to be taken.